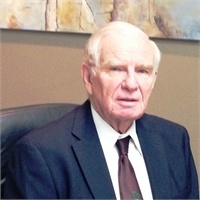 William (Bill) Tennant joined J M Brown Financial Partners in 2013 as an Investment Advisor Representative (IAR). Bill has a Bachelor’s Degree in Accounting from Queens College, New York and a Master’s Degree in Finance from Pepperdine University, California. Bill is a Certified Public Accountant, and Certified Financial Planner Practitioner. Bill started his career working 5 years in public accounting before transitioning to financial positions at Occidental Petroleum, Arco Chemical and Amerada Hess Corporation where he spent over 20 years in Industry as a Financial Executive. For the last 16 years Bill, has worked with Independent Broker/Dealers and Independent Investment Advisors. He is married with four children and 13 grandchildren. He is an active member at the Church of Saint Mary. He currently serves as Treasurer and Board member of his Co-op in Florida as well as his neighborhood association in Tulsa. Bill enjoys playing golf and chasing his 13 grandchildren around the countryside.